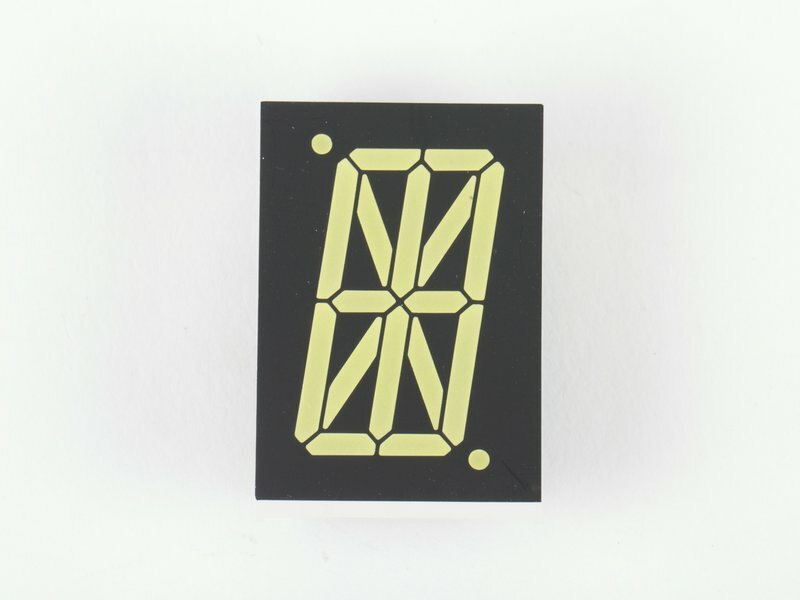 Ultrabright and beautiful 17-segment alphanumeric displays with white segments and 1" character height! The segments light up in ultrabright white. Also available in ultrabright red. The internal wiring configuration is common anode. 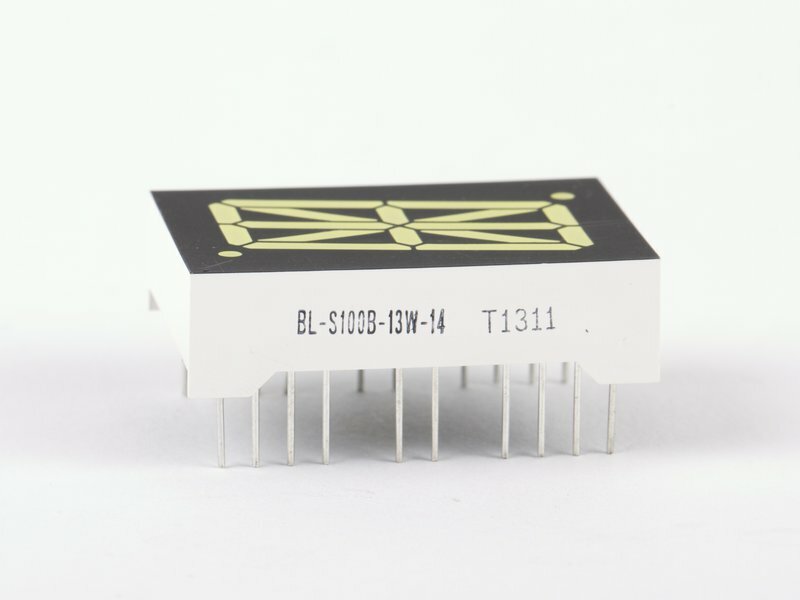 The decimal points contain a single LED element. The six "short" segments each contain one LED element. 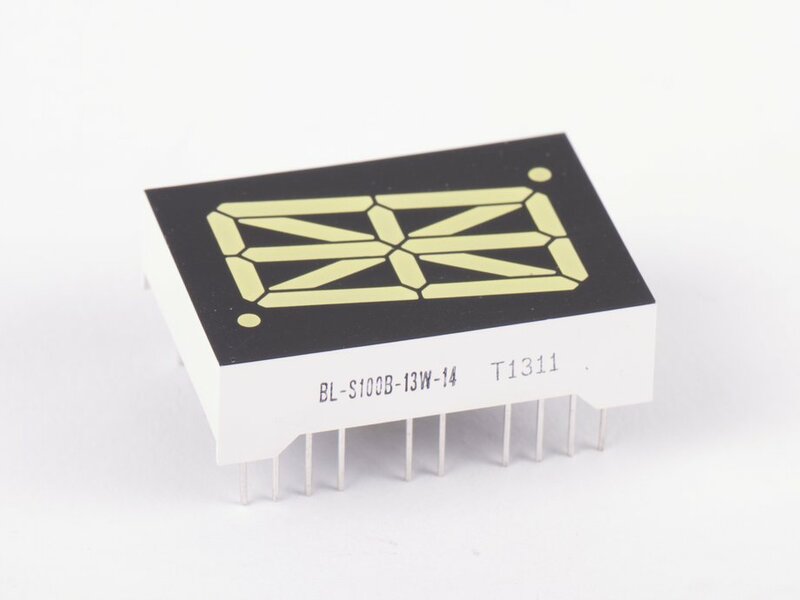 The ten "long" segments each contain two LED elements in series.